We asked Frank Folino, President of the Canadian Association of the Deaf-Association des Sourds du Canada (CAD-ASC) to share his thoughts of the significance of International Week of the Deaf. DAWN: What does the International week of the Deaf mean to you as a leader from the Deaf Community in Canada? What kinds of activities will be happening across Canada? 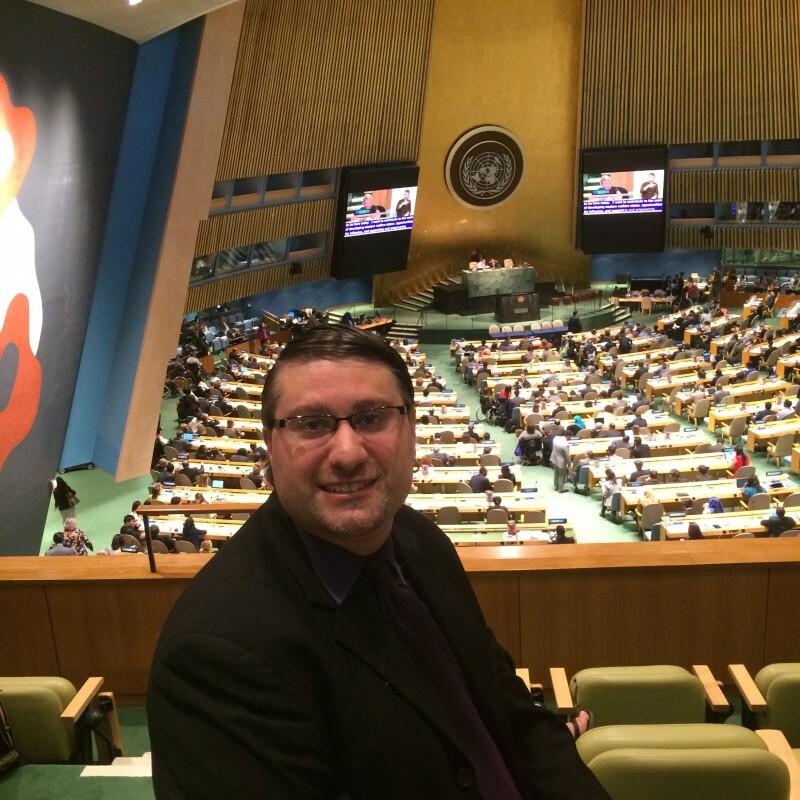 Frank Folino: The International Week of the Deaf is the only week in the year that sees a united global advocacy to raise awareness about the Deaf community on different levels, initiated by the World Federation of the Deaf (WFD). The Canadian Association of the Deaf-Association des Sourds du Canada (CAD-ASC) is affiliated with the WFD as an Ordinary Member. We promote and protect the rights of Deaf people in Canada who use American Sign Language (ASL) and langue des signes québécoise (LSQ). DAWN: The theme of this year is “With Sign Language, I am Equal.” Do you agree with the theme? Why? Recognition Of Our National Sign Languages (ASL and LSQ): the United Nations Convention on the Rights of Persons with Disabilities (CRPD) ensures the right to Sign language recognition in their Article 21. The federal government must introduce federal accessibility legislation that will allow the recognition, promotion, and protection of our human rights to Deaf people’s first languages in Canada– American Sign Language (ASL) and langue des signes québécoise (LSQ). The recognition of ASL and LSQ will value the linguistic identity of the Deaf community as we integrate into both English and French societies. Bilingual Education: is the key to linguistic and cultural identity that provides Deaf and hard of hearing students with the opportunities to achieve full citizenship, education and employment. The provincial and territorial governments must ensure that Deaf children have access and the freedom to use our national Sign languages at Provincial Schools for the Deaf and in regular schools. This in turn will facilitate social and cognitive development with ASL and LSQ proficiency at an early age and also will lead to high levels of English/French literacy. Equal Employment Opportunities: Provincial and territorial governments, private and public sectors, profit and not-for-profit organizations must provide equal opportunities for Deaf people to participate fully in the labour force, including training opportunities. This requires the strengthening of employment equity legislation, more educational and informational campaigns to eliminate business concerns about the cost of accommodation, and more funding for Deaf community agencies and programs to enable them to sustainably employ, train, and promote Deaf workers. Provincial and territorial jurisdictions- the Provincial and Territorial Government’s own departments, crown corporations, agencies and their services such as regional health authorities; emergency management; court administrative services; public sectors (colleges; universities; school divisions; emergency services; stores, restaurants, hotels, bars, conference centers, and etc. ); employment, education; immigration services; agriculture; municipalities; prisons; natural resources; transportation; health care; social programs; private sectors; and profit and not-for-profit organizations. Sign Language Interpretation: Federal and provincial/territorial governments must provide a legal structure to recognize and promote certified, qualified and professionally-trained ASL-English interpreters, LSQ-French interpreters, Deaf Interpreters, and ASL-LSQ interpreters to provide communication between Deaf individuals and hearing persons through public and private sectors; and profit and not-for-profit organizations; education; employment; immigration services; court administrative services; health care; and social programs. DAWN: DAWN Canada has a long history of working in support of Deaf women and girls, particularly because of the very high rates of violence that Deaf women and girls experience. We’re finding very little in the way of direct resources and peer support, with a few notable exceptions. From your perspective what’s the most important and urgent need for Deaf women and girls who are experiencing violence at home, at work, at school? Why? Frank Folino: We believe that it is important to have a strong commitment to ending violence in Deaf communities through empowerment, education, services and partnership. It would be great to establish accessible services for Deaf women and girls who are in crisis at home, at work, at school and anywhere. It would also be great to develop a resource to train community members to become Domestic and Sexual Violence Advocates where they can support Deaf women and girls in their time of need. Also, we need partnerships with service agencies so that we can work collaboratively to develop resources, to provide direct services and to work together to end violence against Deaf women and girls by promoting awareness, education and community accountability. DAWN: Do you think we should have separate shelter/transition house services for Deaf women? Why? Frank Folino: Deaf space is crucial for Deaf women and girls in order for them to be accommodated in a way that is culturally appropriate. They need access to communication in ASL and LSQ when it comes to peer support and counselling. I think it is important to have strong partnerships with hearing shelters/transition houses where services and resources can be provided to Deaf women escaping violence. And it’s important that Deaf women leaders to take the lead in the Deaf space at any hearing shelter/ transition house so that Deaf women can feel supported and also have role models to look up to. DAWN: Is Video Relay Service available in Canada? If not, should it be? Frank Folino: The Video Relay Service will be available in Canada starting on September 28, 2016. The Video Relay Service is managed by Canadian Administrator of Video Relay Services (CAV) is a new not-for-profit corporation that has been mandated by the Canadian Radio-television and Telecommunications Commission (CRTC) to design, implement and oversee the delivery of video relay service (VRS) in Canada. For more information, please visit their website at https://srvcanadavrs.ca/en/ and we are very excited to see that the VRS will be launched on September 28, 2016 because VRS is a basic human rights for Deaf people to access telecommunications with our national Sign languages (ASL and LSQ). Frank is currently involved at national level as President for Canadian Association of the Deaf-Association des Sourds du Canada (CAD-ASC) where he brings his skills and experiences including community outreach and advocacy for promoting the rights for Deaf people across Canada who uses American Sign Language (ASL)/English and langue des signes québécoise (LSQ)/French. He was involved as an Interim Board of Director for Canadian Administrator of Video Relay Services. Now, he currently serves on numerous advisory groups as CAD-ASC President, which includes Elections Canada Advisory Group for Disability Issues; Canadian Transportation Agency Accessibility Advisory Committee; Association Visual Language Interpreters of Canada; and Council of Canadians with Disabilities. He is also currently involved on international level representing Canada to World Federation of the Deaf and he serves on North America Advisory Committee at World Association of Sign Language Interpreters. He received the volunteer award from Festivals and Events of Ontario (FEO) in March 2009, an organization that promotes economic tourism in Ontario and he also received Ontario Volunteer Service Awards from Ontario’s Ministry of Citizenship and Immigration in June 2010 for his volunteer recognition in the Province of Ontario. He is also the recipient of Queen Elizabeth II Diamond Jubilee Medal. He enjoys spending time with friends, traveling, adventure, learning & practicing French/LSQ, reading academic journals, and meeting new people across Canada and around the world.